A mom from New South Wales, Australia, was able to save her daughter from a six-foot-long python that curled itself around the arm of the toddler on Saturday morning, according to the Brisbane Times. Guthrie grabbed onto the snake near its head and attempted to take it off of her daughter, Zara, who is two. The snake put up a fight and even bit the girl three times as it coiled tighter around her. Zara was rushed to a hospital, where she was treated for the snake bites and then released. Tex Tillis, who removed the snake, said that the coastal python was just looking for a warm place and not something to eat. Tillis is from Tex’s Snake Removals. “Pythons, underneath their bottom lip have a row of sensors which evolution has equipped them with to see the world in infrared. In the dark, baby and mother sleeping in the bed would look like a lump of heat,” Tillis said. 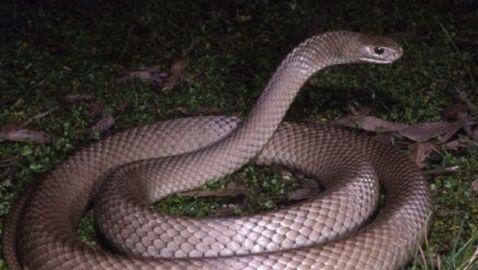 Tillis told the Australian Broadcasting Corporation that the snake turned violent because it felt threatened. “She missed the head by about six inches, so, whenever a snake is grabbed the only thing it can conclude is that anything that can grab it can also eat it, so it panicked and it started to constrict the arm at that point and started to bite the baby,” Tillis said. The snake was released into the wild because Guthrie did not want it killed.